The boyfriend and I had one of those days where neither of us wanted to cook dinner, or even come up with something to eat. So we scrolled through my Pinterest recipe board. This easy recipe, from Mama Loves Food, won in the end and we loved it so much we already have plans to do the same thing with ham and swiss, and pepperoni and mozzerella. 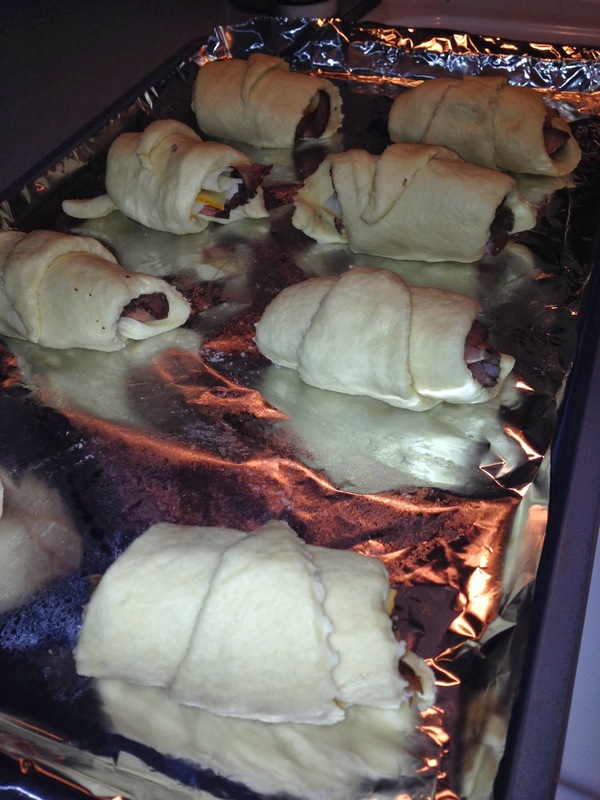 Unroll the crescent rolls onto a cookie sheet. On each roll place a slice of roast beef and a half slice of cheese. Roll the crescents from the wide end to the narrow end. Bake at 375 degrees for 11 to 13 minutes. While the rolls are baking, prepare the Au Jus according to the package.